My name is Lori Kinney. We live in Fulton, MI. My son, Ethan Kinney 13 years old, took this photo the morning of 2-12-19 after we got hit by another ice rain. 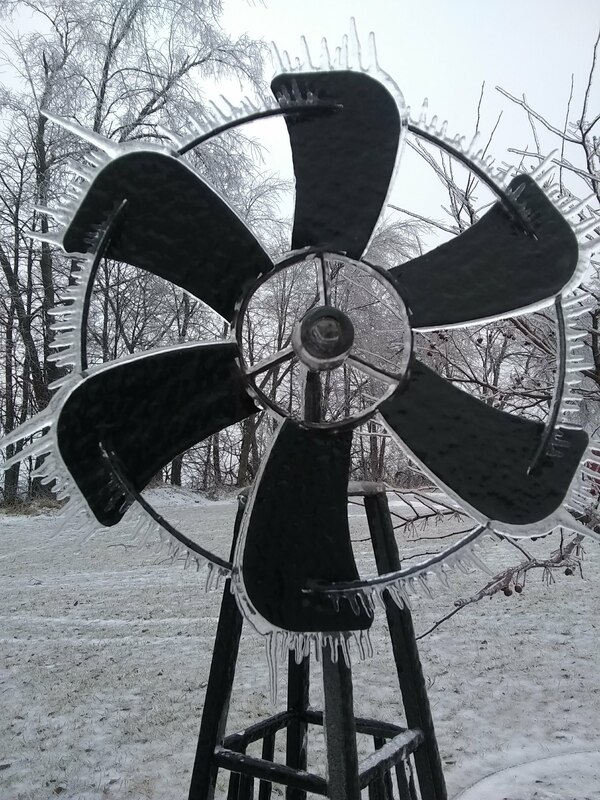 There was enough wind to continue to spin the windmill and a frozen spray developed.